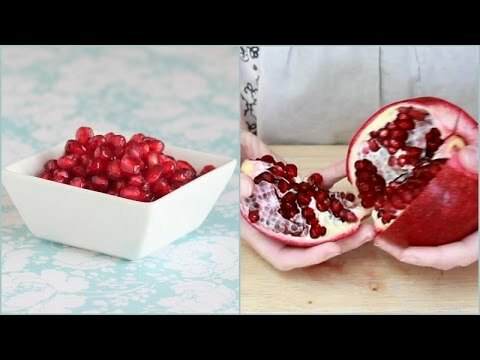 Whacking a pomegranate with a spoon is a pretty easy way to get to the delicious ruby-coloured treats inside, but it can still be a little messy. The above video shows you how to de-seed the infamously messy fruit without the red splatters. 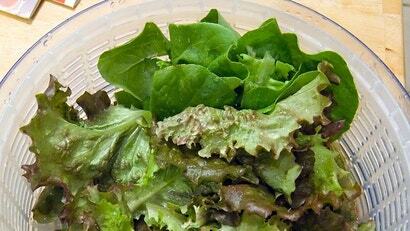 Salad greens can start to go bad within a day if you don't store them properly. This salad spinner trick makes sure they get washed, and stay fresh for up to a month.